I barely survived my cystic acne years. I believed there was no such thing as an oil that was good for my skin. But I was wrong. Just as there are good fats (mono and polyunsaturated) and bad fats (saturated) to eat, there are also good oils and bad oils for your skin. What makes an oil good for your skin? Any oil that won’t clog your pores is a good oil for your skin. Since we each have different skin, I think we each need to find the right oil or combo of oils to use. Here is a list of my favorite 3 oils to start with. 1. Jojoba is more like your skins natural oil (sebum) than any other oil you can buy. Technically, it’s a wax, but since it looks like a liquid most people think of it as an oil. 2. Argan Oil is a light oil that absorbs quickly into your skin. It comes from Morocco and is said to be food fro your skin. 3. 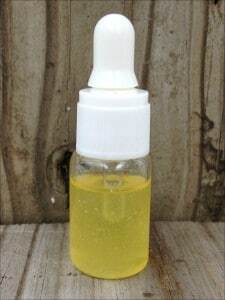 Emu Oil looks a little thicker than jojoba and argan, but is also a very light oil that absorbs quickly. It was used by the Aborigines in Australia as a natural medicine. I like to mix an equal amount of these oils and blend them. I put it in a large dropped bottle, but also put some in a little bottle I can carry in my purse. Try it, and let me know what you think. This sounds like a lovely mix.